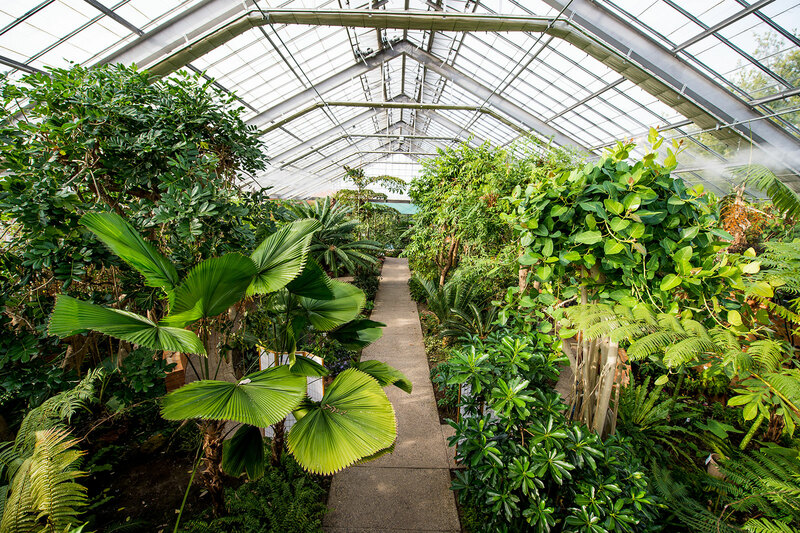 The conservatory opened in 1964. It is a commission by Alden B. Dow and is an exceptionally rare structure. It is believed to be the largest free-span (no supporting columns) conservatory of its structural style and represents a technological limit of architectural materials and climate controls in the era before computer models. 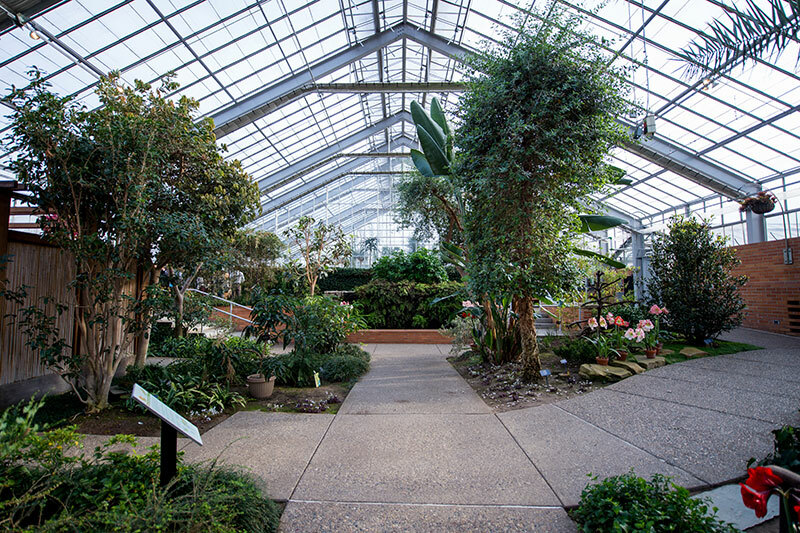 Extensive renovation of the conservatory was made possible through the generous gifts of Robert and Marge Alpern. 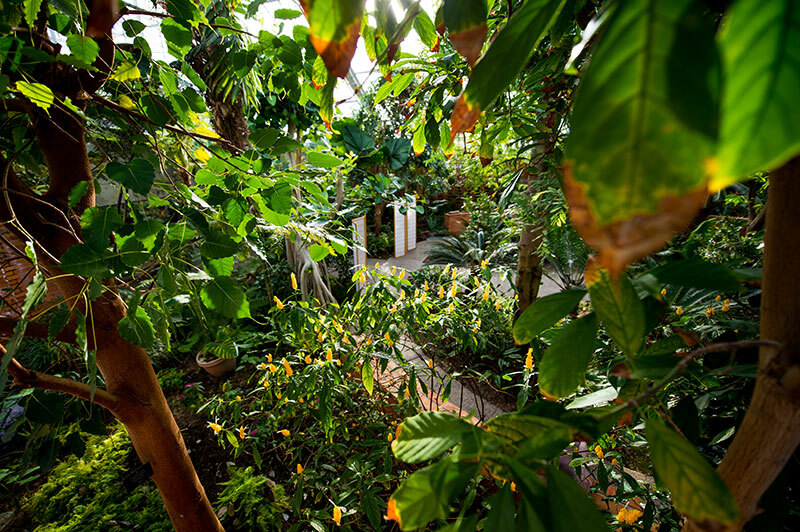 The Stanley Smith Horticultural Trust helped fund plant labeling and interpretive materials. 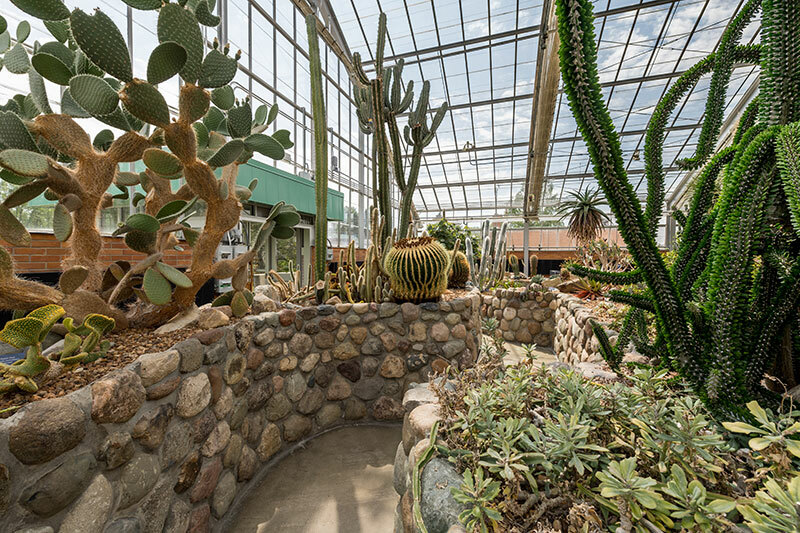 If you would like to help support Matthaei Botanical Gardens and Nichols Arboretum, please contact Meredith Olson, our director of development.